Cornelius "Lee" Banta, Jr. | Peckar & Abramson, P.C. 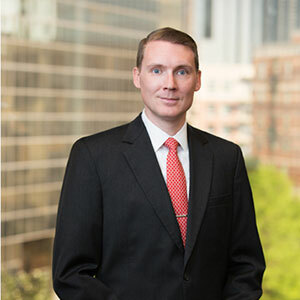 Cornelius F. “Lee” Banta, Jr. is an Associate in Peckar & Abramson’s Houston office. At P&A, we are determined to exceed our clients’ expectations, and aim to deliver ResultsFirst and the best possible outcomes. Whenever possible, we help our clients avoid litigation through careful analysis, keeping in mind our clients’ strategic goals and business initiatives. Mr. Banta focuses his practice on construction litigation and alternative dispute resolution. He has experience with lien and bond claim disputes, construction defect litigation and general commercial matters. He has represented owners, contractors, subcontractors, and materialmen at all stages in the litigation process, and has negotiated favorable settlements for his clients. Mr. Banta earned his J.D. at The University of Houston Law Center and his B.A. in History from Amherst College. He was a Senior Notes & Comments Editor for the Houston Law Review. In addition, he was a member of the Order of the Barons and on the Dean’s Scholarship program.